Extensive fraud has been committed by investigators responsible for conducting background checks used in granting security clearances to national security employees, a government watchdog will tell lawmakers on Thursday. Patrick McFarland, the inspector general for the Office of Personnel Management, will tell a joint hearing of Senate subcommittees on homeland security that his office doesn't have the resources it needs to ensure the checks – which were required of the millions of Americans with clearances – are not falsified. So-called "fabrication cases" occur when background investigators "report interviews that never occurred, record answers to questions that were never asked, and document records checks that were never conducted," McFarland will say, according to prepared testimony. In all, 18 employees have been criminally convicted of falsifying background checks, McFarland will say in his testimony. "One of these individuals not only falsified his background investigations reports, but also attempted to tamper with witnesses after his fraud was discovered," McFarland's testimony reads. A report in January from the Director of National Intelligence showed nearly five million people hold United States security clearances. They are broken into confidential, secret, and top secret classifications based on the sensitivity of the information a person is allowed to view. The bulk of clearances – about 80% - are distributed by the Department of Defense, according to the Senate panel holding Thursday's hearing. 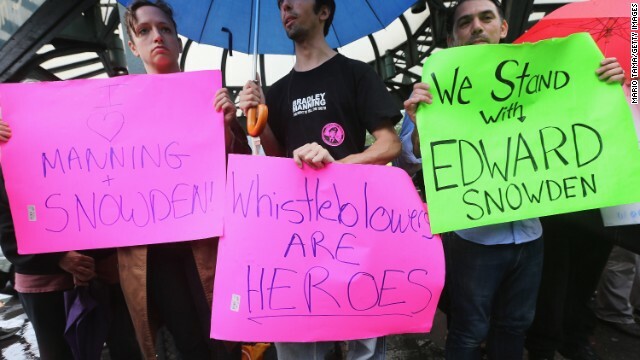 Issuing clearances has come under recent scrutiny after a National Security Agency contractor Edward Snowden – who held a top secret clearance – admittedly leaked documents this month detailing two surveillance programs. Lawmakers want to know more details on clearance distribution and vetting. McFarland will tell senators Thursday his agency doesn't have enough money to conduct proper oversight of its employees, some of whom work for contractors rather than directly for the government. The Office of Personnel Management bills each agency requesting a background check, but the price includes only the cost of the check itself, giving proper oversight little funding. "Our resources remain woefully inadequate, preventing us from performing the level of oversight that such an important program requires," he'll say. While his testimony does not detail any specific cases where national security was jeopardized as a result of a fraudulent background check, McFarland will underscore the importance of his office to the safety and security of Americans. "I cannot emphasize enough how important the Federal Investigative Services is to protecting the nation's security and the public trust," McFarland will say. "Consequently, it is vital that there is effective, independent oversight of this program." People doing a background checks have been compromised and are hiring people were compromised . Sounds like a bunch of liberals . The DoD is full of freaks who shouldn't have a clearance at any level, and these are government employees and not contractors. There used to be a requirement for good moral character, but that's obviously been abandoned a long, long time ago, and is one of many reasons there is so much fraud, waste and abuse in DoD. The main skillset of the average DoD employee seems to be working the system to make a killing on overtime, travel expense and promotion abuse. All most of these people want is money and more money, the majority of them could care less about making any kind of contribution. Forget the background checks, there are plenty of on-the-job performance problems to get rid of most of them. Who is responsible for the levels of security (clearance) granted to congress? I know working on a TS (Special access program) the government wanted my life history from the day I was a gleam. In my parent's eye and then some. How some of these quacks in the Congreve ever get Secret or TS or TS (compartmented) beats the hell out of me! That's right, blame the contractor, the government's favorite whipping boy when things go south. Here's the only question you need to ask. "Who did Snowden't polygraph?" Hint: it wasn't USIS–they do simple background checks; talk to neighbors, look at financials, etc. The government does the poly's for Top Secret clearances. The inspector general of OPM and the blowhards in the senate know this. Maybe Kevin Liptak can ask them who did the poly. This is a prime example of out-sourcing government functions to the private sector. $, and expediency is more important than USA security to a profit seeking corporation. Bureaucracy at its finest. Sounds like this practice of background investigation has been in place for a while. The recent sequester should go a long way to solving this problem. Forgive them voters for they know not what they do. Sequester? This fraud was done when the government had money coming out all orifices. The government can be incompetent with a lot of money or little money, so we might as well let the taxpayers keep their stash. Let's just get it out of the way now..
Obama did it! Obama did it! Okay guys, time to waste all the money that should have been spent preventing this to pretend this is the President's fault.